Conway Air Conditioning guarantees a job done right, to ensure maximum comfort. When it comes to comfort, it’s a whole new world. 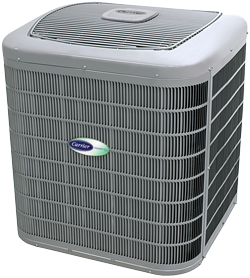 Conway Air Conditioning has expertise and knowledge to give you a perfectly controlled indoor environment. As one of the oldest heating and cooling businesses in Conway, we are very familiar with local weather, energy costs, and heating requirements. Trust the experts with a proven history. Invest in one of the oldest HVAC companies in Conway, and know that we will always be here when you need us. After over sixty years of industry dedication, we’ve seen every possible problem that can impact proper operation. As a Carrier Factory Authorized Dealer, we have the necessary training, knowledge, and resources to handle minor and complex problems quickly and accurately. Trust in our proven team to bring cool comfort to your home at a price that you can afford! One way to provide more comfort in your home while also easing zone control is by having a ductless unit installed. The indoor units average about 7″ deep, are lightweight, attractive, and easily mounted high on the wall or ceiling. The outdoor compressor offers a slim profile, and can be located in an inconspicuous spot up to 50′ feet away. The two main components are connected by a conduit, which houses the electric line, drain line, and refrigerant tubing, and requires nothing bigger than a three inch hole in an outside wall. 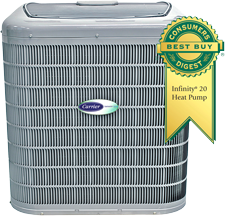 For convenience, efficiency, and all around performance, it’s tough to beat a modern heat pump. Due to the many energy saving advantages, these innovative solutions to year round temperature control have gained popularity in recent years. While installation involves considerable technical skill and specialized tools, the team from Conway Air Conditioning has the factory training, industry resources, and in-field experience to provide accurate workmanship and ensure the highest rewards from your new system. Conway believes that you should not have to break the bank in order to live in a comfortable home. That is why we offer specials and ways to save on your new systems or maintenance whenever we can. Check out what offers we are running today to be sure you are saving the most! Contact us for a FREE quote on your new system! 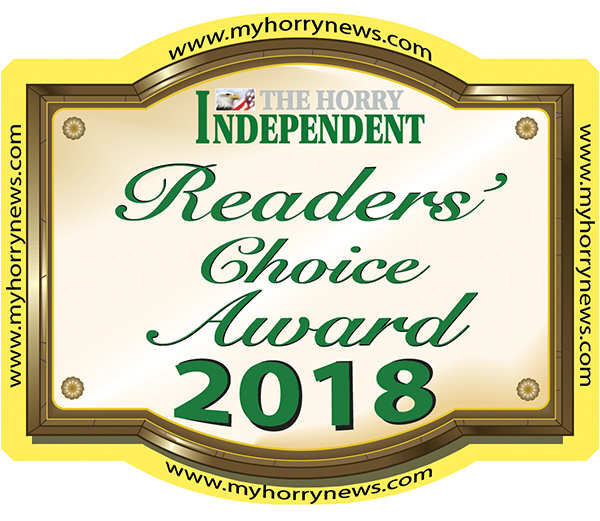 As one of the oldest heating and cooling businesses in Conway, Conway Air Conditioning remains dedicated to managing the comfort needs of our valued customers with superior products, exceptional service, and competitive pricing. Family owned and operated, we invest in the continued training and knowledge of our technicians, ensuring updated and comprehensive technological expertise. 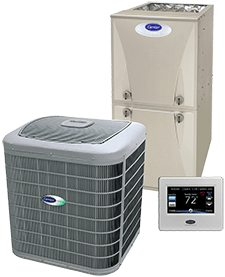 In every area of service, Conway Air Conditioning provides innovative solutions that answer your expectations for efficiency, reliability, and performance. Top Quality HVAC Services in Conway, SC and surrounding areas! Know that when you contact us for new installation, upgrades, and retrofits, we offer a wide range of proven, state-of-the-art equipment to answer your specific needs, demand for affordability, and desire for luxury. Intelligent, communicating, and adaptable systems from Carrier open up unprecedented possibilities for more precise control over your indoor environment. 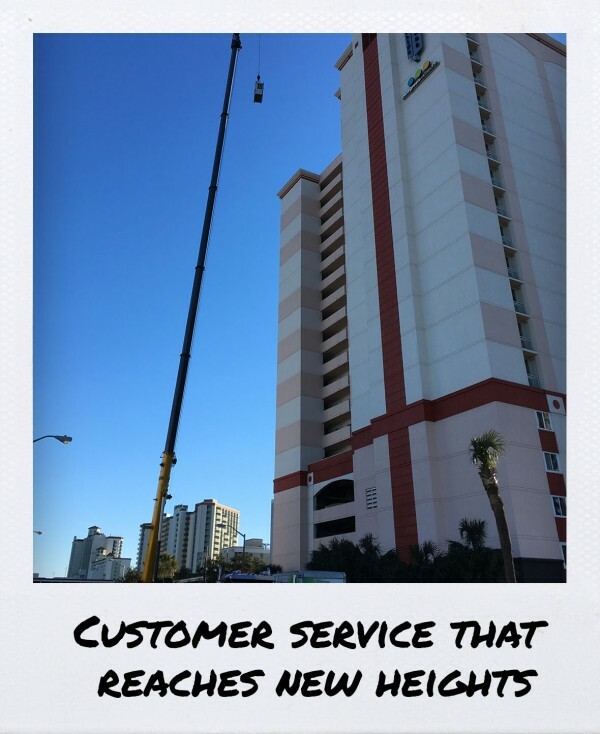 Through conscientious and knowledgeable installation, we optimize length and quality of service life for our customers throughout Conway, SC, Red Hill, SC, Forestbrook, SC, Socastee, SC, Aynor, SC, Loris, SC, and Garden City, SC and surrounding areas. Now Offering Honeywell & Generac Automatic Standby Generators! Our team at Conway Air Conditioning is now offering the installation of Honeywell & Generac automatic standby generators. 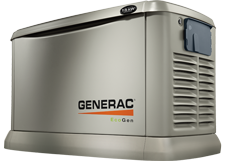 Standby generators keep your home or business running smoothly by automatically reacting to a sudden interruption in power. With seamless transitions, these systems ensure your vital systems are protected. Call Conway Air Conditioning for expert installation and service of a reliable standby generator system! Expect the best for all your heating and cooling needs! To be recognized as a Carrier Factory Authorized Dealer, Conway Air Conditioning lives up to strenuous requirements and national standards. Exceptional customer service, sound business management, and in-depth product knowledge are qualities that separate Carrier Factory Authorized Dealers from our competitors. 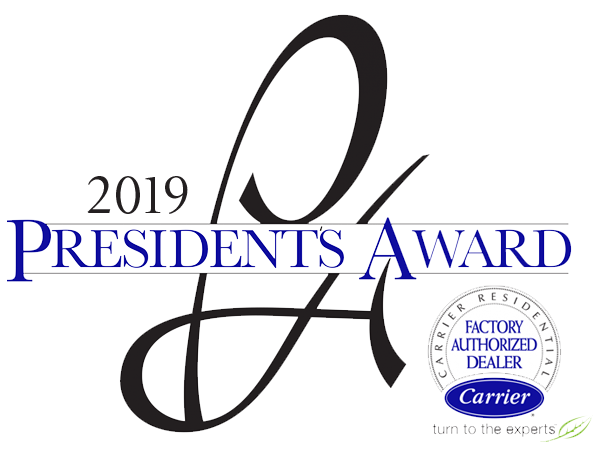 By holding ourselves to an even higher achievement, Conway Air Conditioning is proud to have been distinguished with the Carrier’s President Award for three years. Recipients of this honor exemplify and exceed operational excellence, comfort, and service expectations of Carrier customers. For your heating and A/C repairs, installations, and service, trust in the friendly team at Conway Air Conditioning! Our priority is always your best interests. Comprehensive, regular maintenance, performed by the licensed professionals from Conway Air Conditioning, protects your HVAC investment. Through seasonal inspection, cleaning, and tuning, we keep your equipment operating reliably, safely, and efficiently, year after year. Save money on potential repairs. Enjoy energy savings and uninterrupted performance. Benefit from extended service life and protect your home and family from the dangerous consequences of faulty operation. If you notice any problems with strange sounds, unpleasant smells, increased run times, frequent cycling, decreased comfort, or system failure, contact the service team from Conway Air Conditioning immediately. Prompt attention minimizes damage and maximizes results. For emergency situations, outside of regular business hours, our qualified technicians are on call 24/7. Whether your comfort needs are minor issues or complex projects, our level of commitment and professionalism ensures your complete satisfaction. Conway Air Conditioning – providing comfort to families for over sixty years.